Cranberry + Orange + Ginger + Walnuts. If fall flavors had a baby, it would be this bread. 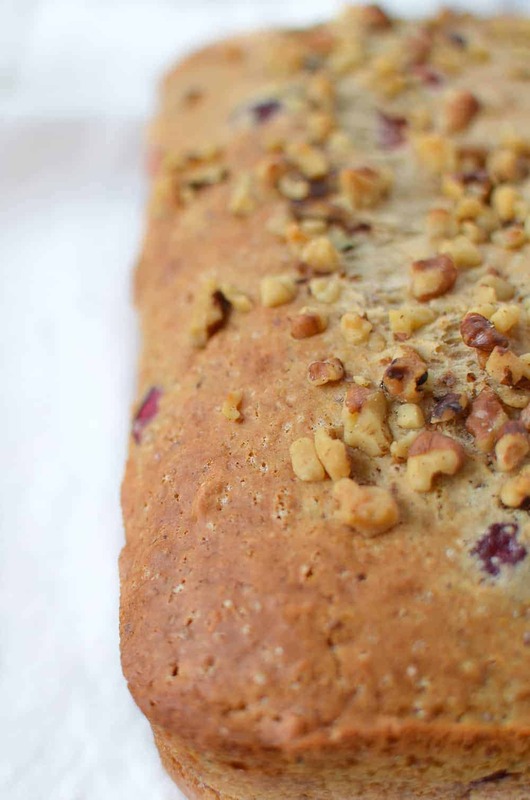 Warm, cozy slices of tender cranberry bread is hands down my favorite way to ease into the day. I’ve made this bread exactly 4 times in the past two weeks because as soon as I finish the last slice, I’m craving it again. I’d like to make the motion that homemade bread is the most perfect hostess gift. As a fellow food lovers, I know you understand the anxiety when your host tells you not to bring anything. I refuse to show up to events empty handed, but I dislike putting any pressure on my host to serve my bottle of wine/side/dessert. So, bread for breakfast it is! Wrapped, homemade bread is the perfect thing to arrive with. It’s a sweet way of saying, enjoy your evening, but don’t worry about breakfast the next day- have a slice of this and a cup of coffee instead. To wrap, skip the plastic (it will make the bread gummy) or foil and opt for parchment/wax paper instead. Cut a length of wax paper about four times the width of your loaf, and place the bread in the center. Combine the ends of the paper together above the bread, then fold the paper down several times in two or three crisp folds until it’s flush with the top. If you have extra width on the sides, fold and tuck under. If not, trim off any excess so it’s flush with the bread, then secure with a pretty piece of twine and ribbon. For this month’s Recipe Redux challenge, we were encouraged to share versions of our favorite quick breads, beyond just traditional banana. For holiday baking and hostess gifts, you’ve come to the right place. 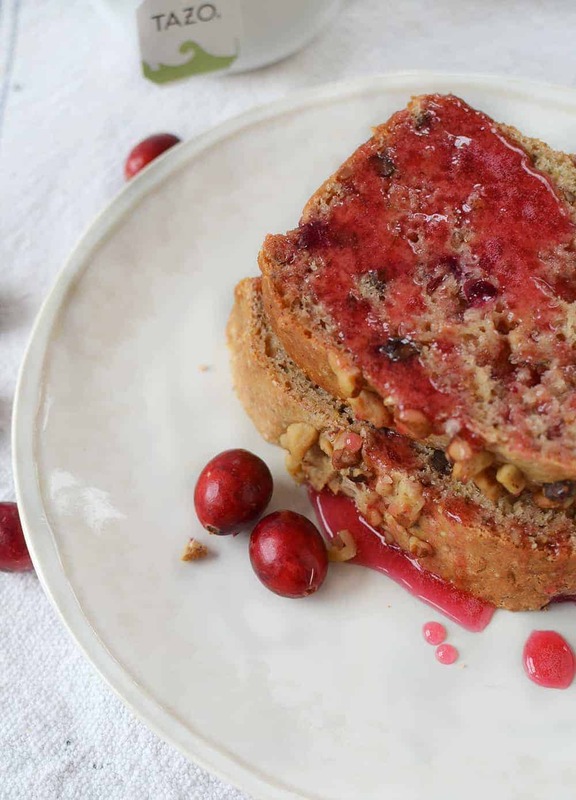 Once you make two of these Cranberry Ginger loaves (One for you, One for a guest. Trust me on this. ), the possibilities are endless! Enjoy the many varieties from fellow reduxers below the recipe. Spray and lightly flour a 9×5 inch loaf pan. In a medium bowl, whisk together the flour, baking powder, salt, baking soda, ginger, and ground cinnamon. In a separate large bowl, beat together the butter and sugar until smooth. Stir in the flax egg and orange juice. Slowly add in the in flour mixture until just moistened then stir in the walnuts and chopped cranberries. Pour into prepared pan. Bake for 55-60 minutes until golden brown on top and toothpick comes out clean. 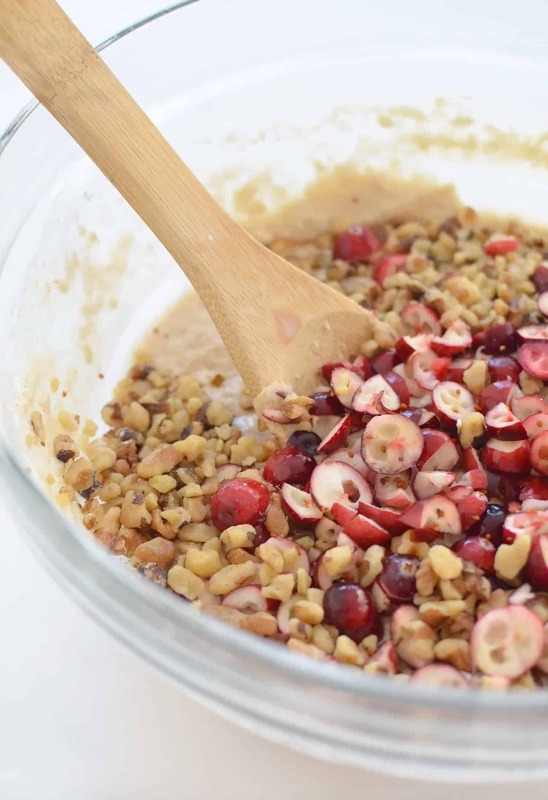 For cranberry drizzle, whisk together the cranberry juice and powdered sugar until smooth. Drizzle over warm bread. To make this bread vegan, I am using a flax egg in place of a regular egg. To create a flax egg, whisk together 1 tablespoon ground flax meal with 3 tablespoons water in a small bowl. Set aside to let gel slightly, about 5 minutes, while you prepare the rest of the ingredients. I just love cranberries! I can’t wait to try this Alex! There’s something about adding walnuts to bread that just screams fall. Can’t wait to try the cranberry ginger combo too! So lovely! 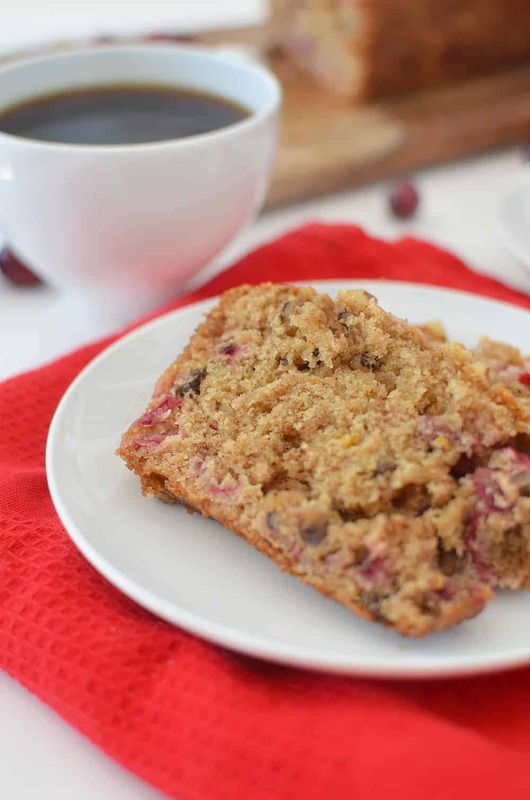 I adore orange and the cranberry glaze is just perfect to drizzle over! This looks absolutely amazing, Alex! 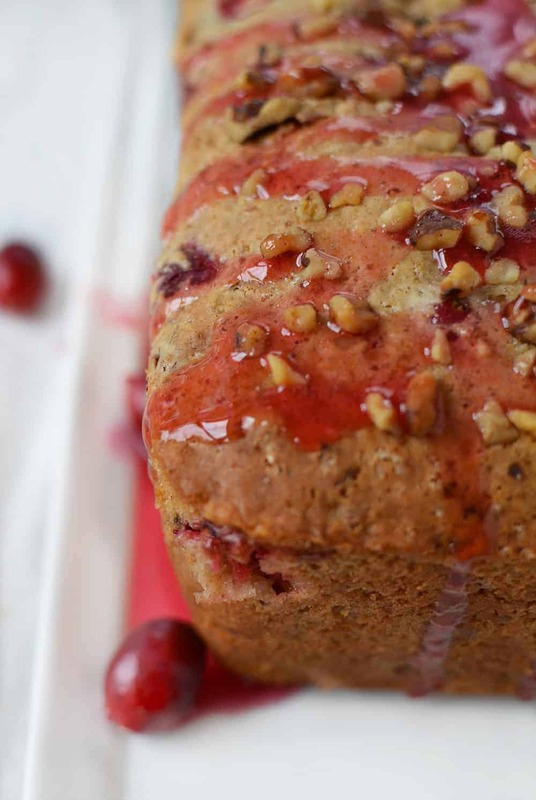 Totally crushing on that cranberry glaze. Looks so good!